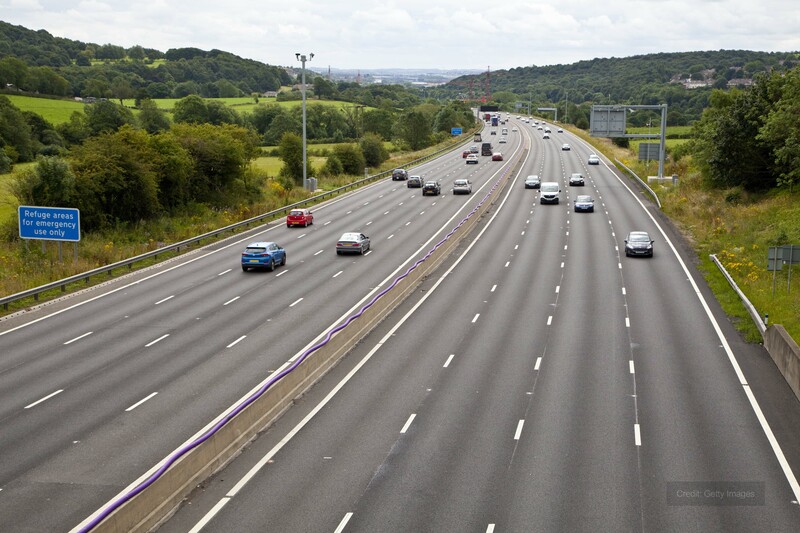 When a motorway service was carrying out renovation works on a motorway service facility, Andrews Heat for Hire was drafted in to provide heat to maintain a high temperature and avoid droughts. Our specialists visited the site to determine the best solution for the application. They decided to place an ID65 Indirect fired oil heater, which provides a nominal heating duty of 65kW. The equipment was placed in the car park, which was within a 40m distant of the area in which heating was required. A 1000 litre fuel tank was also supplied to ensure the unit could operate without interruption for extended periods of time. Lengths of ducting entered the building via an 18″ diameter hole at the services’ entrance, allowing the full heat load capacity to penetrate the area as desired by the customer. This temporary heater hire arrangement was delivered and commissioned less than 24 hours after enquiry was received. We also provided fuel for the project at the request of the customer, with an out-of-hours delivery arranged during the Christmas period. An engineer later visited site to ensure everything was working as intended, with the customer indicating that they were very happy with the kit and service provided. The client also made us aware of how impressed they were that we surveyed the application beforehand and proposed a practical solution off the back of that. Andrews made such a good impression with the contractor that they later asked us to spec and quote a separate boiler hire, which has since gone ahead. 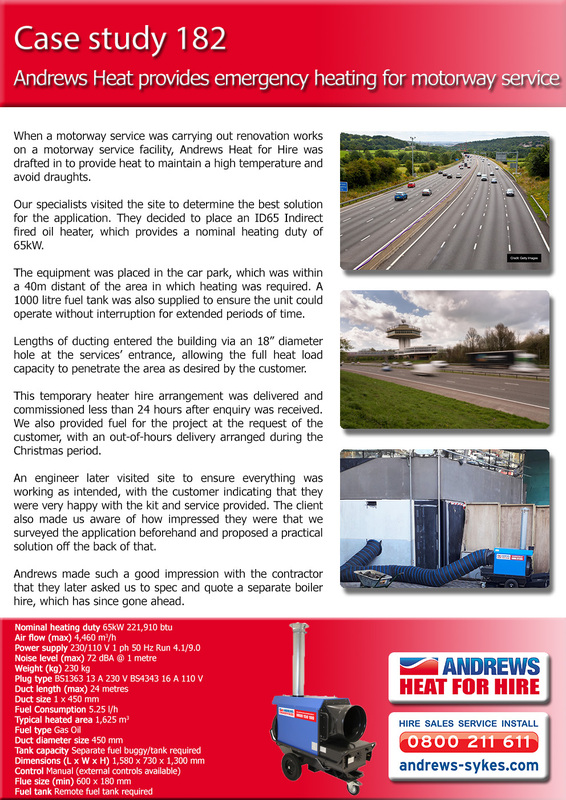 This article was posted in Brief, Case Study, Heater Hire and tagged Andrews Heat for Hire, Heating Sector - Public Sector & Government. Both comments and trackbacks are closed.